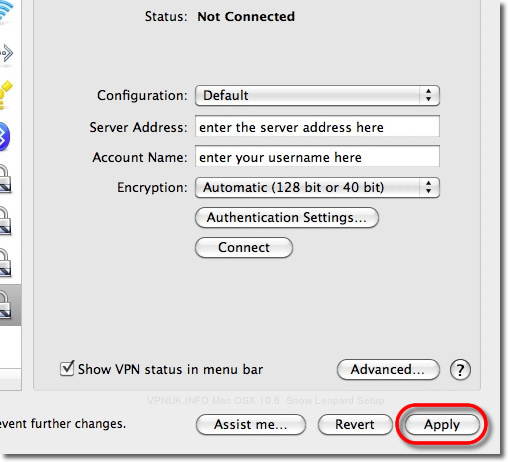 Setting up vpn access over PPTP under Mac OSX 10.6 is quick and easy. 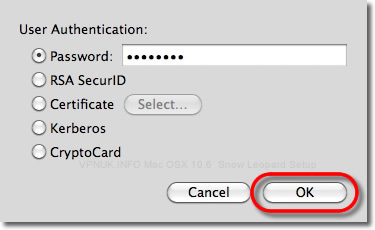 The following instructions will take you step by step in setting up your account. 1. 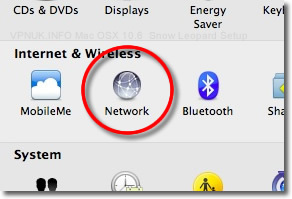 Open system preferences and click onto 'Network'. 2. 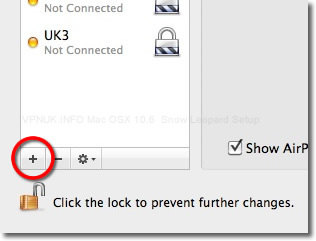 Click the '+' button on the network connections pane. 3. 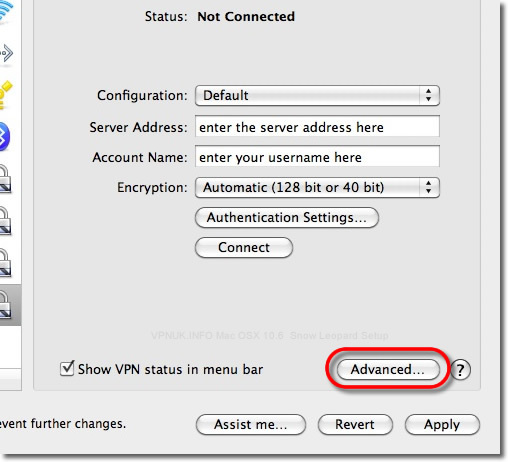 From the drop down menu select 'VPN' followed by 'PPTP' then click 'Create'. 4. 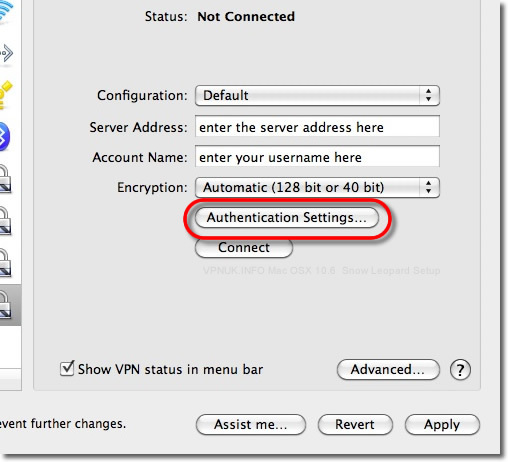 Enter the VPNUK server that was issued to you in the welcome email into the 'Server Address'field and the account username in the 'Account Name' field then click the 'Authentication Settings' button. 5. Enter your 'Password' and click 'OK'. 7. Click the 'Advanced' button. 8. 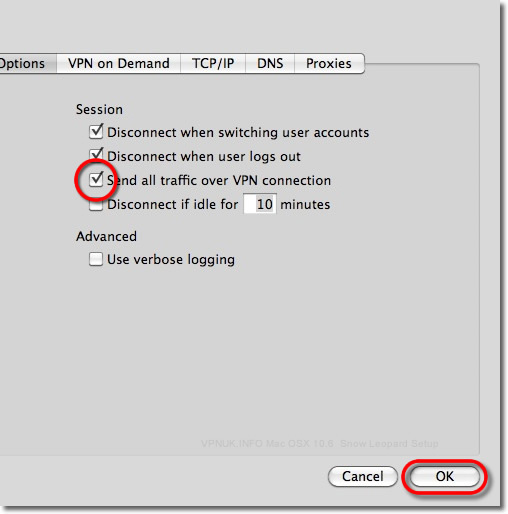 Tick 'send all traffic over VPN connection', press 'OK'. 10. 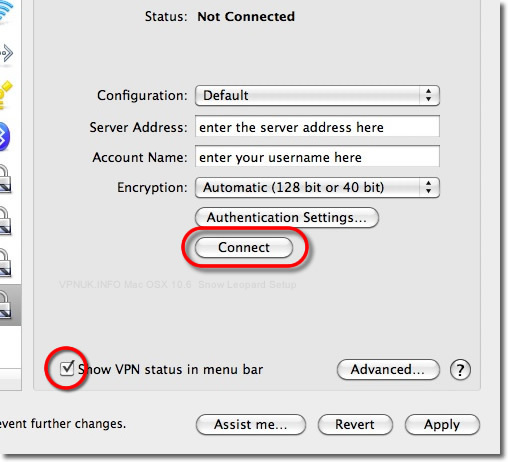 Leave the 'Show VPN status in menu bar' box ticked and press 'Connect'.